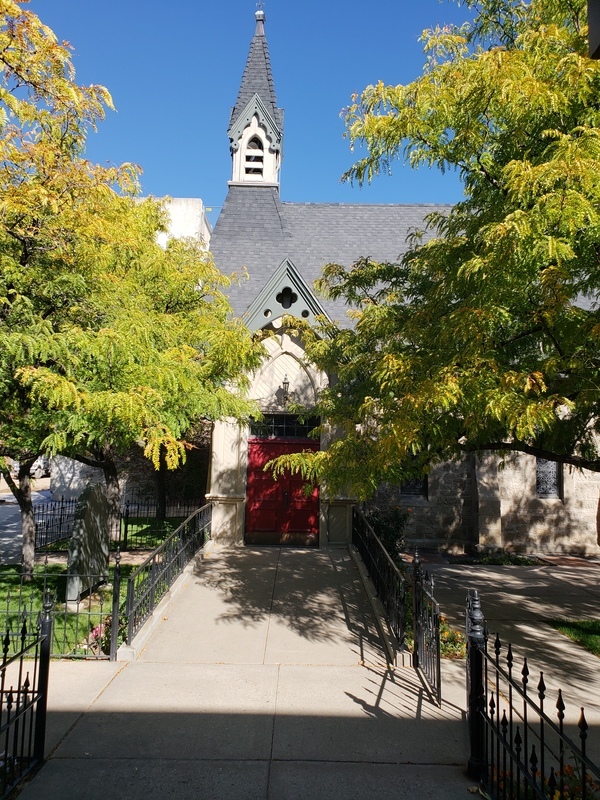 Although there has been several additions, the original Episcopal Church of the Good Shepherd still stands as one of best examples of Carpenter Gothic architecture in Utah. 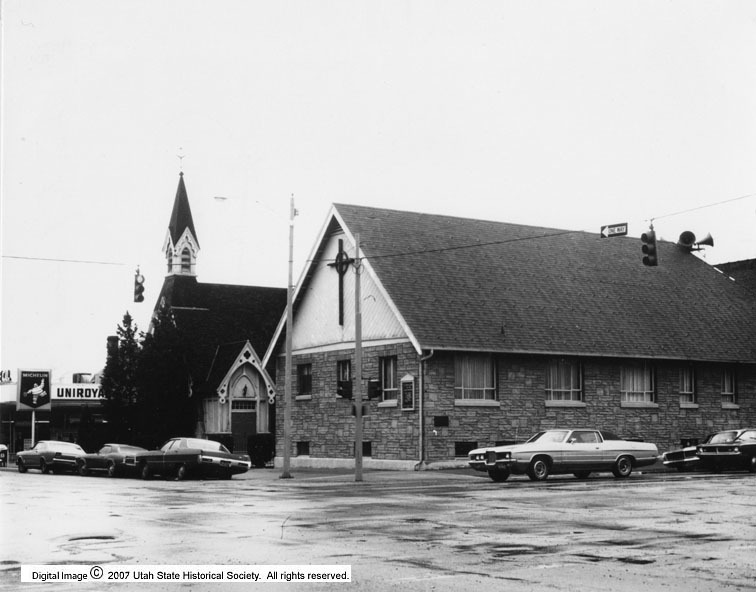 On January 18, 1874, the first church bells of Ogden rang out. The source of the ringing bells came from the Episcopal Church of the Good Shepherd. The Church was established in Ogden May 23, 1867 under to leadership of Daniel Sylvester Tuttle (1837 - 1923), who had been recently consecrated missionary bishop of Montana, Idaho, and Utah. 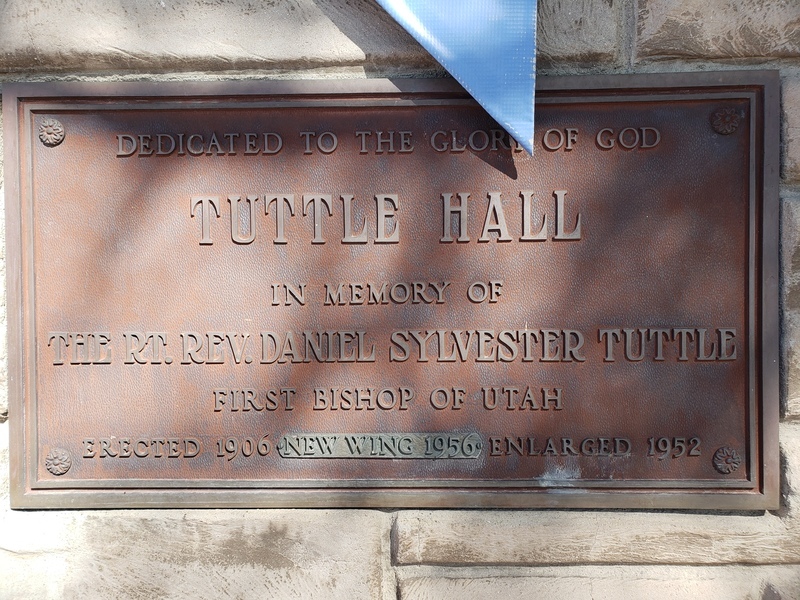 While in Utah, Tuttle oversaw the construction of St Mark’s, the first non-LDS religious building in Utah, followed by the establishment of St. Mark's School for boys and girls in 1867, St. Mark's Hospital in 1872, and Rowland Hall school for girls in 1881-- all in Salt Lake City. However, the Ogden church was overseen by newly ordained minister James Lee Gillogly (1842-1881), who with his wife Lydia Lucelia (1846-1936) came from Connecticut. Gillogly conducted services first in the Union Station waiting room and then in an abandoned saloon (the corner of 24th and Wall). Finally, in 1871 he bought the land on which the church resides today. The money for this church was donated by John Hammersley of New York as a way to memorialize his daughter who had passed away in childbirth. On 26 April 1874 the cornerstone was laid by Bishop Tuttle and the building was consecrated 6 February 1874. The church is an example of “Carpenter Gothic” style of architecture. It was built using stones hauled in by oxen from Mendon, Utah. The designs for the church were provided by Gordon W. Lloyd of Detroit, Michigan, There are two stone plaques in the church originally placed on either side of the alter and later moved to the back of the church in 1978. These plaques are in memory of John Hammersley’s daughter Catherine Livingston and of James Lee Gillogly. The church bell arrived around Christmas 1878 from New York. It weighs 515 pounds. The bell is still in use today. A 30 bell carillon was added in 1968. It was the first of its kind on the Wasatch front. In 1899, the school run by the church was sold and the money was used to remodel the building. The church was expanded to the south in 1906, again to the south in 1952, and Tuttle Hall was added to the west in 1956. In 1942, the double wooden doors leading into the Church were painted red as a symbol of welcome. The red doors also indicate the Holy Spirit is within. Windows have been added above and sidelights removed from the main entrance. In 1949, parts of the church were remodeled. A new alter was added to the back of the church and a new stained-glass window. This window and all future windows were made by Mr. Skinner of the Charles Connick studio in Boston, Mass. with funds donated by members of the congregation. 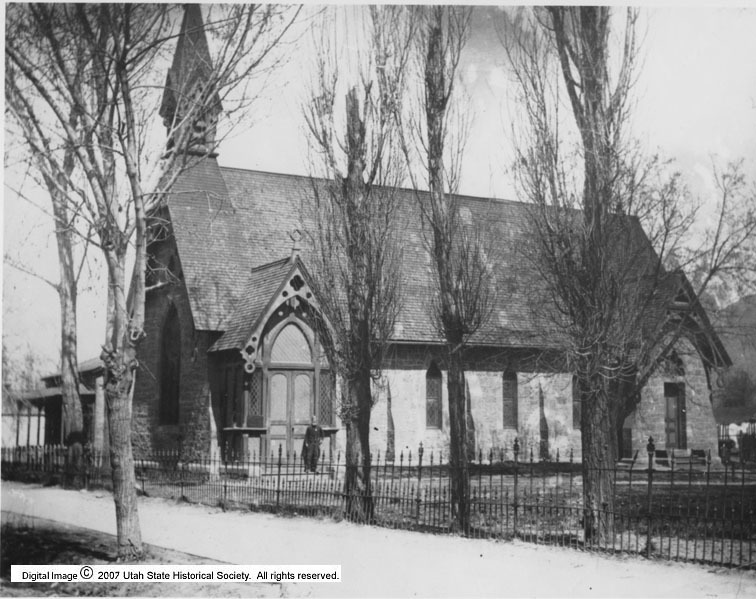 Episcopal Church with additions ~ Source: Used with permission from the Utah State Historical Society. Photo #18016. https://collections.lib.utah.edu/details?id=435937\. 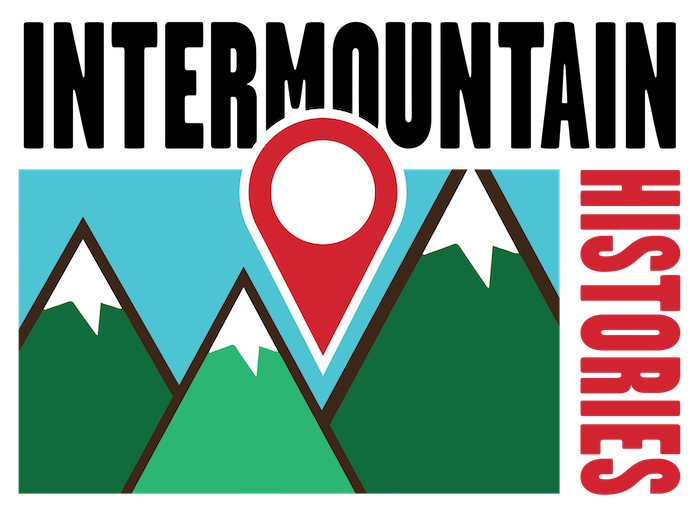 ,” Intermountain Histories, accessed April 20, 2019, https://www.intermountainhistories.org/items/show/270. Francis, JaNae. 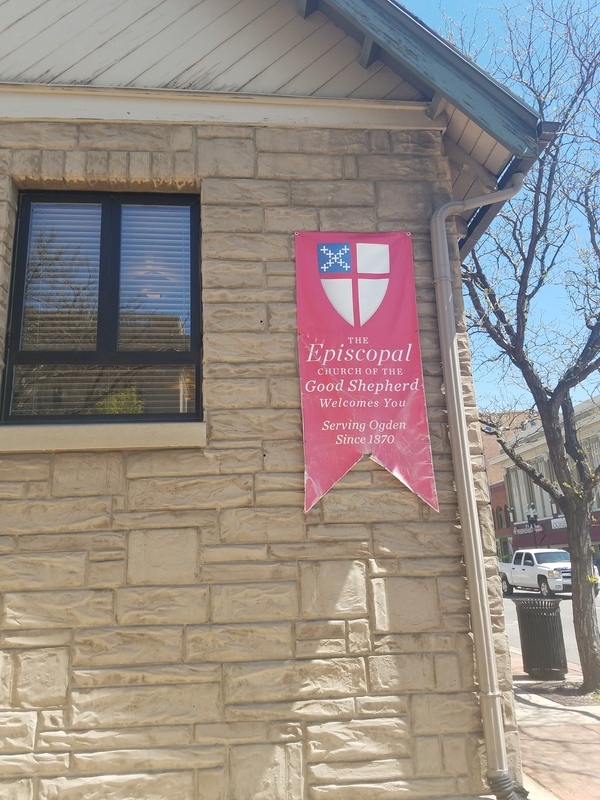 Standard Examiner, “Historical School Run fy Episcopal Church of the Good Shepherd,” 10 April 2015. Gillogly, L, Lucelia Webster, "Early Missionary Life in Ogden, Utah," Manuscript, Utah State Historical Society, Salt Lake City, Utah. Mims, Bob. The Salt Lake Tribune, “A Brief History of the Episcopal Church in Utah,” 29 March 2017. National Register of Historic Places. Episcopal Church of the Good Shepherd, Ogden, Weber County, Utah. National Register #73001864. Quinn, Frederick. Building the ‘Goodly Fellowship of Faith’ -- A History of the Episcopal Church in Utah -- 1867 -1996. Logan, Utah: Utah State University Press, 2004.